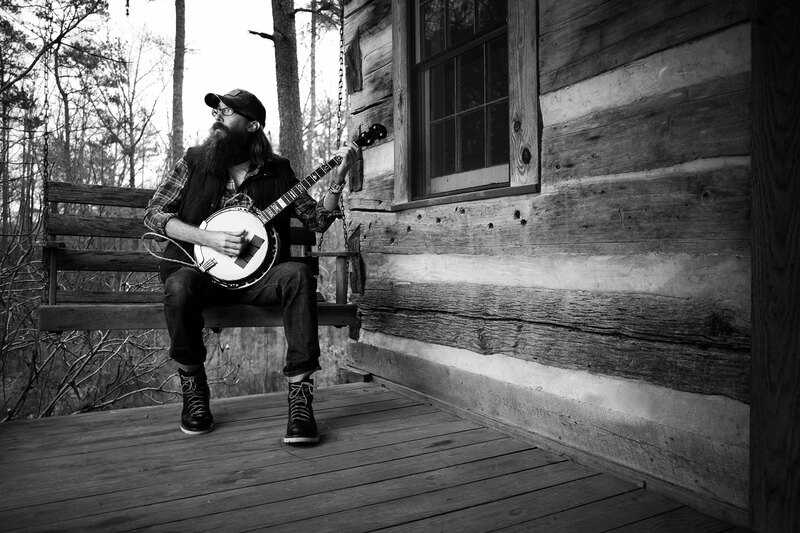 David Crowder is a hit machine. He’s known on a world stage, but to know him is to walk with him – to journey with him. He is an everyday man. I think that’s why we all like him. He’s eccentric. He’s different and seems confident and pleased in his skin. The man is transparent and yet guarded. He is calculated with his words yet spontaneous. He is natural and easy-going, yet he’s partly intense. As outsiders, we glean a lot from this man’s art. We piece together answers to the question, “Who is this guy?” from various means – seeing him on stage and hearing him laugh and reduce a crowd of thousands to feeling like it’s a backyard party. We read interviews and try to pick his brain and gain understanding through what he shares. A few years ago he seemed to labor hard in making a point to de-mystify this thing we call “worship” and not take everything too seriously. Yet, he is also very serious and intentional. Now we get more opportunity to peer into this guy’s brain. What is he going to let us see and hear and contemplate inside the lyrics and thought behind his new album? What will he be willing to reveal in this interview. The answers might surprise you. You left Texas. I didn’t know that. I got out of there about three years ago. We just sold the Dr. Pepper house about two weeks ago — we’ve had it listed forever — and then finally moved (to Atlanta). We’re feeling light in the feet. It’s wonderful. No. We’re still in the South, at least. For a musician, it’s probably a good place to be. You’re not too far from Athens. We still shake hands. That’s actually a really good scene here in Atlanta. A lot of great players. Fortunately (or unfortunately, depending on how you look at it), most of them are rooted into the megachurch scene. There are not a lot of bands coming out. They’re just using their stuff on Sundays and making a living in that way. It’s a different deal. I bet Atlanta has as many players that are “A” caliber as Nashville, but they’re all locked in to doing the church gig rather than trying to blow something up, band-wise. It’s different. It’s very interesting. Compare and contrast your music and business life as a solo artist versus a band. The foundation of what I’m making is fundamentally the same, and it’s still congregationally-oriented, trying to write songs to help a room full of people sing and use music to express themselves to God. That part is exactly the same. A very different part is in the Crowder band. (The band was) all a part of a local church, and we were just a reflection of what was happening on Sunday mornings. (Crowder) is more of an individual expression. I walked into the Passion City Church here, as far as my church community side of it goes, but the music is coming from a lot of people who live in a lot of different places. I’m writing with other people. I can’t predict what it’ll be in the future, but in this season of life, it was amazing to be able to get into the same room with other folks I’ve really admired, both musically and as writers. It really wasn’t on the table with the Crowder band because we were so insular, and we wanted to reflect what was happening in a local, organic sense. If you can explain what your feelings were about performing at the Grand Ole Opry, before, during, and after the actual performance. I had been there a few times with a guy by the name of Marty Stewart. He let me tag along when he was playing and his wife, Connie Smith, was singing. I remember getting to be back stage, and there’s Roy Clark; we’re hobnobbing with the greats. I’m thinking, “This is just incredible to see this side of things,” but not one single time, in the moments I was there, was a hint of, “Boy, I sure hope I get to play here someday.” I couldn’t dream that big. My dreams weren’t large enough to even let me entertain such a thought. Then we get there and we walk in the back. … I’m telling you, walking in the back, it had a different feel to it. When we got the invite, I didn’t know what to do. I was at a restaurant when I got the call, with a bunch of friends. I hung up the phone, and I didn’t talk for about 30 or 45 minutes. I didn’t know what to do with it. Finally, I mentioned it out loud and it didn’t even feel real. Maybe I put too much weight on it. But for me — growing up in Texas and having country music around since I can remember, having such a place in our family and life in Texarkana — it was, like, oh my word, this is nuts. It would be the beard. That’s what most of the conversations are about. I had an International Harvester hat on, and he points to the hat and goes, “That’s what you are boy. You wear that on your head and it’s sitting on top of you. You’re an International Harvester.” By now, I’m all teared up (laughs). I’ll have to say that the leading up to it, the invite, and the experience exceeded anything I’d have in my mind about a moment like that. It was fantastic. What do most people want to know about you? What’s one of the most common or memorable questions you get asked? As stereotypical as this is, this is the most common: “What’s up with the beard, man?” (laughs) We’re talking about facial hair most of the time. Here’s the thing with the beard. The beard is the ice-breaker of all ice-breakers. You can be in any setting and you’re going to have a good conversation with people, because it’s a starter. The “Duck Dynasty” folks are pretty much ruining it for the rest of us. We’ve been doing this stuff since we got on the planet. It’s just letting yourself go. That’s one of the questions: “Man, how do you do that?” How do you do this? You just don’t do anything. Just don’t do anything. This is God-intended, man. It would be the beard. That’s what most of the conversations are about (laughs). I bring it on myself. What’s the thought and planning behind the style of songs you’re crafting? I wanted to do a couple of things. I wanted to use words that felt in line with the sound of the melody and (the sound) space we were going to make. The instrumentation was dictating a lot of it; (we were reaching) backwards to grab some of that more folk, historic, Appalachian-type instruments. I wanted to reach backwards, pull some of the good stuff about where we are but keep some of the wonder of where technology sits. Press toward where we’re headed technology-wise. I feel like we’re in such a weird moment, musically. The whole industry is scrambling to figure out what is happening, exactly, how songs are delivered and consumed, and even what role or value music has for people. What’s the monetary value? Once the price point was reset to zero, it’s hard to tell how valuable a thing is. That’s what we do most of the time — assign value through monetary means — but we all feel this thing in our chest. We relate to music. The technology is a weird thing outside of music, too, the way we interact socially. It’s changing the way we’re shaped and the way we interact. We feel attached to people we don’t really live with or near to in proximity. It has allowed us to verbally abuse one another, feel distant from humans, say things you wouldn’t say if somebody were sitting across from you. I wanted to reach backwards, pull some of the good stuff about where we are but keep some of the wonder of where technology sits. But also, have it rub against us a little bit and be slightly uncomfortable. It hasn’t been around that long, where we can hit record and capture a moment. It used to have to happen with community. You couldn’t make music without other people, and you couldn’t experience music without being there. We’d have to go to the theater, and this thing would happen, it would go into the air and it would be gone. That was the only time it ever happened. Then, all of a sudden, you can capture it. You can experience this as an individual, not as part of a community. Now you can make music as an individual, not as part of a community, and it can be consumed as an individual and not as part of community. I felt like I needed to hold that bizarre theme, as well as try to press toward something more mentally relational. An interesting marriage. How do you balance the, “If my fans only knew this about me, they might not like it,” versus the, “Staying above reproach as an elder, teacher, artist, minister of the gospel”? Why are both sides of that discussion important? To answer it in a very colloquial, nonreligious way, it’s like why Obama doesn’t tell you who he votes for, if it’s for the right or for the left, because he wants the ear of everybody to be effective in what he feels passionate about. A lot of times you can have what you’re really intending to say or do hijacked by a conversation that is not what you’re passionate about. That’s where the balance is. Culturally, we can argue about a lot of things that, in some instances, are just fine. We can eat fried chicken in the South and not get reprimanded by our brother, but we’d better not be smoking a cigarette while ordering it (laughs). Those issues I’d rather not talk about either of them. I’d rather talk about the music. If one or the other is in the way of talking about the music then it can hijack what you’re passionate about and what God’s put on your chest to discuss. I like the way you put that. When we sat down together in Waco in 2008 for the CCM cover story, I got the impression you wanted to make a small, subtle point: what you do vocationally, leading worship, doesn’t have to be taken so seriously, as if to take away some of the spookiness or charismatic zaniness — or perhaps even idolatry — away from the Popular Worship Movement. Now I’d like you to tell us how special, mystical, and wonderful worship is and can be. Our pastor in Waco had just died in a horrific accident, there at the church. We were on tour. We were going to fly out and get back to Waco, and we were trying to decide whether or not we should play music that night or just fold and wait for a flight to get home. We sat in the front of a bus and looked at each other and said, “If we believe all this is real, then of course we should play.” This is horrific and it tears up the heart and his absence cuts to the core of us — but there’s also reason to stand and sing these songs if we believe what the tenets of our faith hold. This is a joyous moment and death is followed up in victory. If that’s true, let’s sing. That night, music went someplace inside of me it had never gone before. This is a joyous moment and death is followed up in victory. If that’s true, let’s sing. It feels like music and song and when we start to sing this thing that is in us, our whole body is responding and releasing our emotions and our spirit. That’s a transcendent thing. It seems to be exponentially grander when there are people together, especially when directed toward God intentionally. What are some serious Levitical, priesthood-types of habits you’ve followed to aid you in your mission, if anything? I look at my ability in collecting. I look at myself as a collector. I intentionally read a lot and I listen to a lot of stuff. I look at a lot of stuff, art-wise, to try to get more colors, more words and more sounds to say something when it starts to boil. Unfortunately, given the lifestyle of a traveling musician, the schedule changes day-to-day. Most of your life as a musician is not what people believe it to be. Most all of your life is waiting. You’re someplace waiting. I’m good at taking stuff with me so that whenever that moment happens… I’m being intentional. Again, I’m not just reading a book to try to escape and enjoy. I’m also paying attention to how it makes me feel, what made me feel it that way, the sentence structures, the grammar, the punctuation. I feel like that’s when I’m doing work, which is also quite enjoyable and entertaining because you’re being moved while you’re processing what’s moving you. That’s my Levitical diligence in trying to better my craft, making sure you’re spending those times, the moments waiting, being a good collector. I’ve got a combination question. What music or books are you digging? Games and/or movies? That’s fantastic. Let’s see. I would say it’s mostly architecture books right now because my wife has finished school for interior design. In the process of her doing that, I have just fallen in love with architecture. We have a massive amount of books I’m just pouring over. I love Calatrava and Gaudi. The Spaniards are pushing my buttons, it seems like. That’s weird, I would think, and I would suspect you would classify most of them as coffee-table type things (laughs). That’s what’s been pushing my buttons of late. I can’t stop listening to a dude by the name of Foy Vance. I would suggest Foy Vance. Settlers of Catan would be a great game. Movies: One of the fun, inspiring things I’ve seen lately is the “Muscle Shoals” documentary. Just a fantastic documentary. It’s amazing. Really a great little film. Another combination question. This is my last one. What makes you sad lately, and what makes you happy lately? The people I’m with probably do both (laughs). I can answer that for both of them. It’s amazing. I’ve had a very incredible peer set develop in Atlanta. Some of them have the most heartbreaking stories ever, not a lot of light in their story and that makes me sad. Then there are other people that are just the best folks on the planet that bring a lot of light to me and these other people that I’m referencing. Those are the two things that could answer the same thing for both questions. 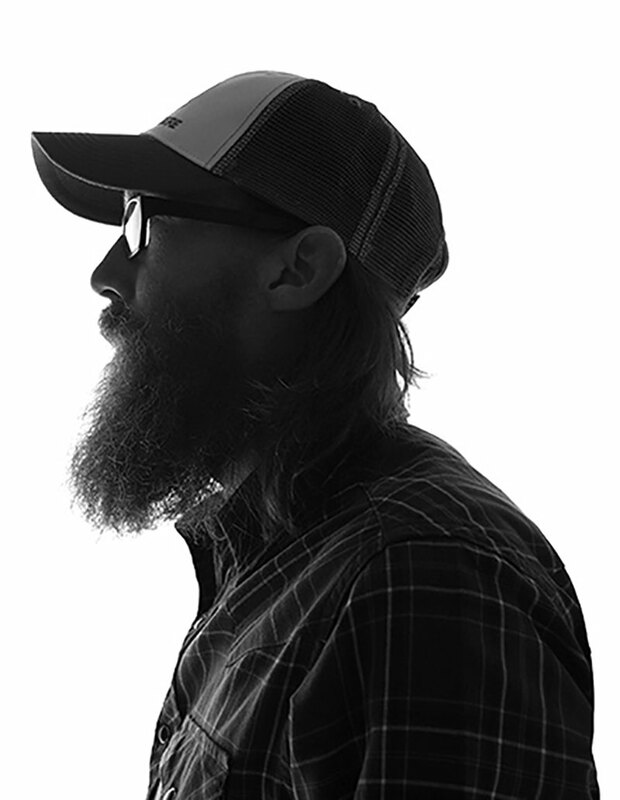 Crowder was posted on July 13, 2014 for HM Magazine and authored by Doug Van Pelt.